Flat footedness, also called pes planus, is a hereditary condition wherein one’s feet lack arch support. Aside from being hereditary, it can also be caused by an injury. It may seem not as a big deal to some, however, flat footedness could cause a lot of pain and discomfort. This pain and discomfort is highlighted during exercise and other activities involving a lot of movement. Therefore, it is important to have good gear every time you exercise. The following article makes a brief review on the best cross training shoes for flat feet. The products are divided into two – cross trainers for men and for women. The New Balance Women’s Training Shoes topped the list for women. It utilizes fabric and synthetic materials. The memory foam of this pair helps in easing the pain brought about by the condition. Furthermore, it also has internal shank and shock-absorbing technology. However, we found the instep to toe area a little tight. On the other hand, the Nike Women’s Free provides support and ventilation. It is very lightweight because it uses fly wire technology. Additionally, it has rubber pods in the heel and forefoot area making it adaptable to all kinds of terrain. But, we found the soles a little too thin and its weight a little to light to become running shoes. Lastly for the list of women’s trainers is the Adidas Women’s Liquid 2. It boats of light cushioning, non-slip fabric lining and padded collar and tongue. It also has extra padding to prevent irritation and to increase arch support. However, the pair we received was a little tight even if we ordered the same size we typically order. For men’s trainers, the list is led by Nike’s Metcon 2. A lot of people have been looking foward to the successor of the Metcon 1. 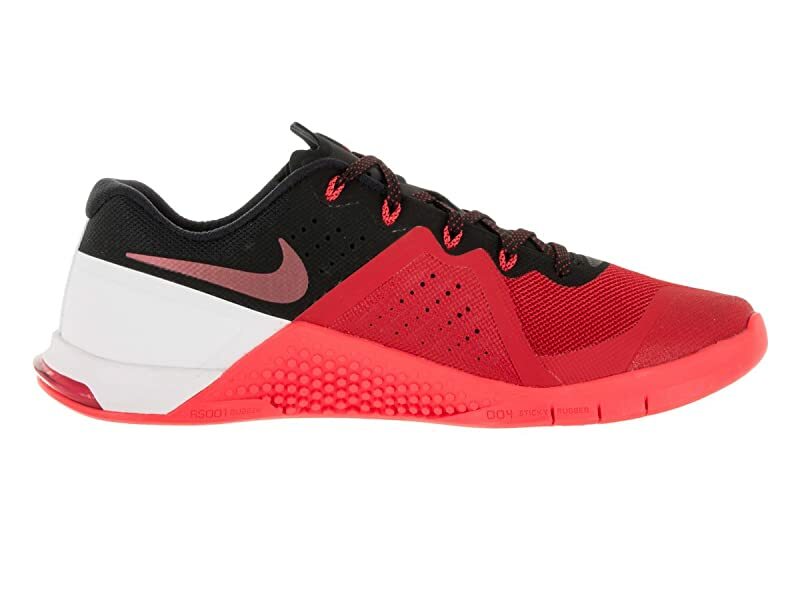 Unlike the other trainers, the Metcon 2 has a wide toe box. Aside from that, it also has a stiff, wide heel to provide better stability. Furthermore, it also uses fly wire technology. It is, however, sold at a higher price point. 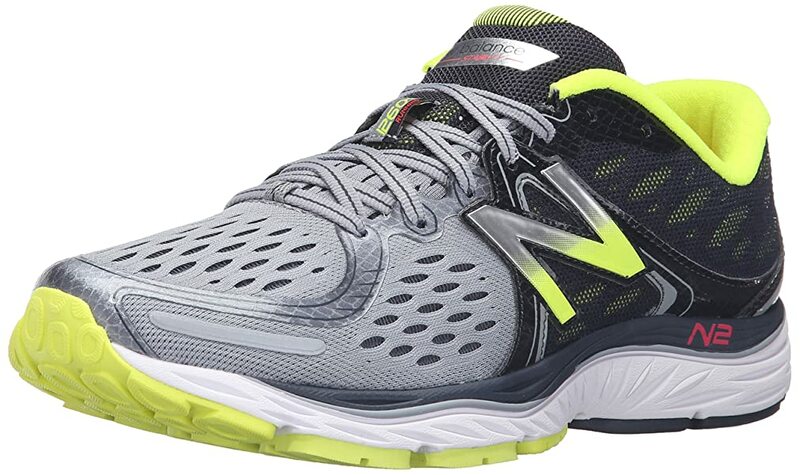 Next on the list is the New Balance Men’s 1260v6 stability running shoe. It provides midfoot stability thanks to the dual density post and t-beam support. It also uses a combination of REVite, ABZORB and N2 foams for cushioning. However, we found it quite heavy. The inner section around the heel rubbed against the skin. 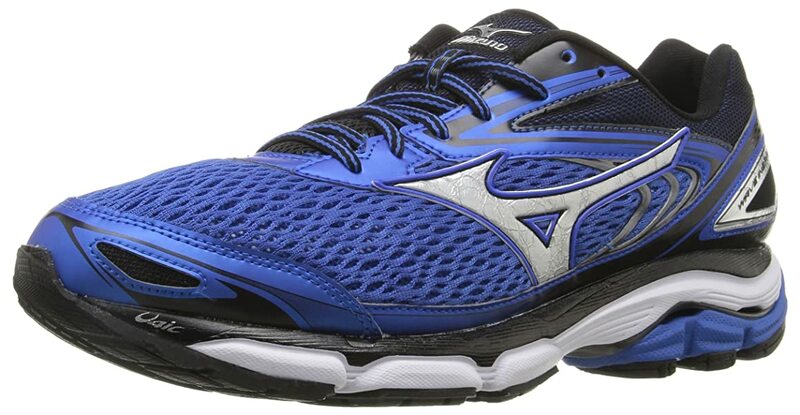 The last but not the last on the list is the Mizuno Wave Inspire 13. It works great on the pavement. It provides excellent stability and arch support. It is the lightest stability shoes we’ve ever tried. On the downside, we don’t dig the design of these shoes that much. This pair of training shoes uses quality fabric and synthetic materials. There are several reasons why the New Balance Women’s WX608V4 is included in this list. For one, it has an ACTEVA sole cushioning which is lighter than the standard foam. Furthermore, the shoe’s heel to toe drop is 10 mm. It has internal shank and shock-absorbing technology. We tried the shoe on and loved the memory foam. However, we found that it was a bit tight around the instep and toe area. New Balance, as a company, has been investing on years of research and development. In particular, this shoe was designed to aid women with flat feet. This pair is appropriate for cardio exercises, weightlifting, jogging, tennis and other highly active activities. It comes in several colors namely white/navy, white/pink, black, white/blue, brown, brown camo, purple/pink, white/light blue, white/mint, and grey/pink. The New Balance Women’s Training Shoe is worthy of a nine and half (9.5) out of ten (10) stars. It has a memory sole foam. It has an ACTEVA sole cushioning foam instead of a standard foam. It also has internal shank and shock-absorbing technology. We just love the color! We ordered the black one. The instep to toe area was pretty tight. We do not like the packaging. Although initially released in 2006, the Nike Women’s Free 5.0 Tr Fit 4 Print is quintessential. The upper part of these trainers is made of specially engineered mesh for better support and ventilation. Meanwhile, the forefoot portion is created using fly wire technology. This makes the shoes lightweight. The heel and forefoot has rubber pods thus making it durable for all types of terrain. These shoes also have a multi-directional traction because of its herringbone pattern found in the forefoot. Bearing the iconic swoosh logo, this model comes in several designs namely Antartica, Black/White/Cool Grey, Bright/Citron, Hyper Grape, Lime, Medium Ash, Metallic Silver, Dusty Cactus, Hyper Pink, Pure Platinum, Perfect Pink, Anthracite among others. 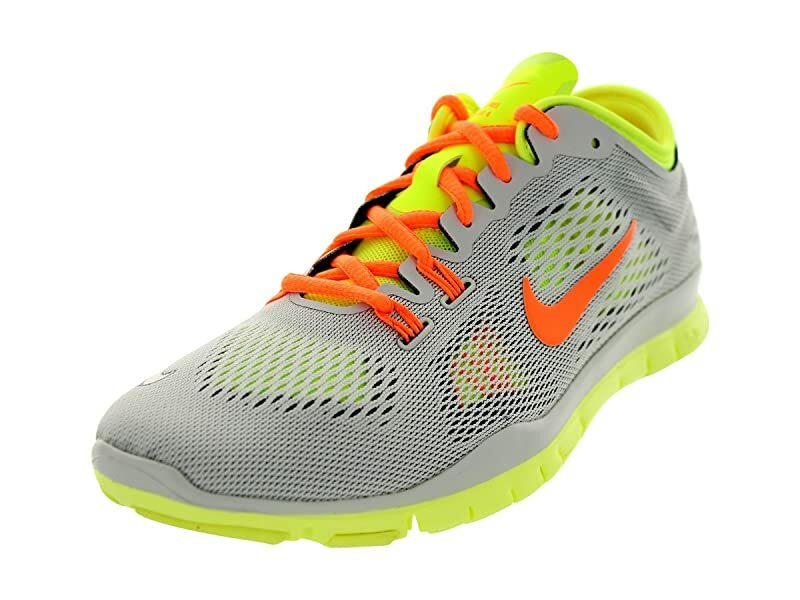 We give the Nike Women’s Free 5.0 Tr Fit 4 a nine (9) out of ten (10). The designs and colors of this Nike trainers are to die for! The herringbone pattern in the forefoot gives great traction. It uses fly wire technology in the forefoot portion. The soles are a bit thin. It is too lightweight for running. It is more appropriate for indoor activities like weightlifting. It is a bit on the narrow side. As the product’s name suggests, Adidas Women’s Liquid 2 Running Shoes delivers fluidity with every step. This pair was made especially to address the needs of under-pronator and over-pronator women. The light cushioning, non-slip fabric lining, padded collar and tongue give great comfort. An extra padding is even placed in the midsole to prevent foot irritation. It is also very light weighing only a meager 300 grams. However, because the upper is made from mesh, it is not water-proof. 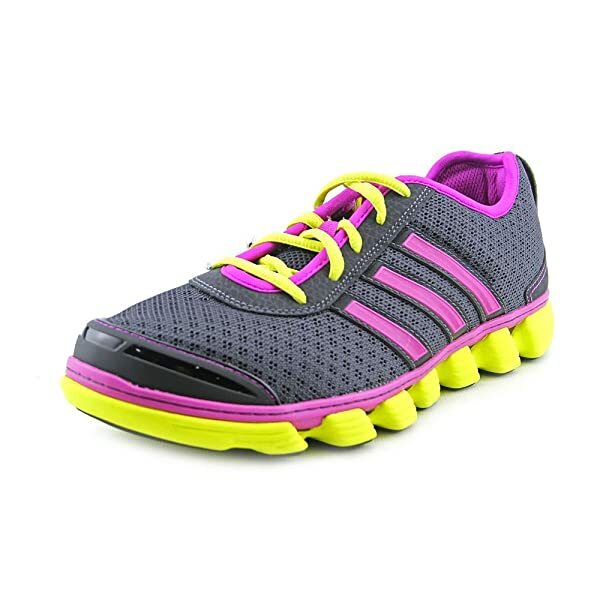 This mid-range Adidas trainers come in several colors namely Vivid Pink, Phantom and Pink Lab Lime. It is very light weight at two pounds. We loved the ventilation and air circulation we got from this pair. It also provides good arch support. We’d say these are our go-to running shoes. This pair of trainers is deserving of eight and a half (8.5) stars out of ten (10). It has light cushioning, non-slip fabric lining, padded collar and tongue. It has extra padding to prevent foot irritation. The air circulation and ventilation is good. It provides great arch support. What was delivered to us was a bit big although we ordered the normal size we typically order. Unlike the other cross trainers mentioned in this review, the Metcon 2 has a very wide toe box. Another notable feature of this pair of trainers is that it has a stiff, wide heel. This gives it stability to help with overpronation and underpronation. The heel is also smooth. Nike calls this feature, ‘zero friction.’ The shoes work better for activities with less movement like weightlifting, calisthenics and the like. The fly wire technology keeps the foot in place. It also has segmented rubber in the forefoot area for greater flexibility. This pair comes in several colors namely Gym Red/Black, Violet/Concord, Black/Black, Racer Blue/Bright Crimson, Volt/Black-white, Royal Blue, Multi-colored, Barely Volt Light Bone 700 and many more. We give the Metcon 2 nine and a half (9.5) stars out of ten (10). It has a stiff, wide heel for better stability. It has segmented rubber in the forefoot area. It is in the higher price point. We advise against using it for running. It is not waterproof because the upper is made from mesh. 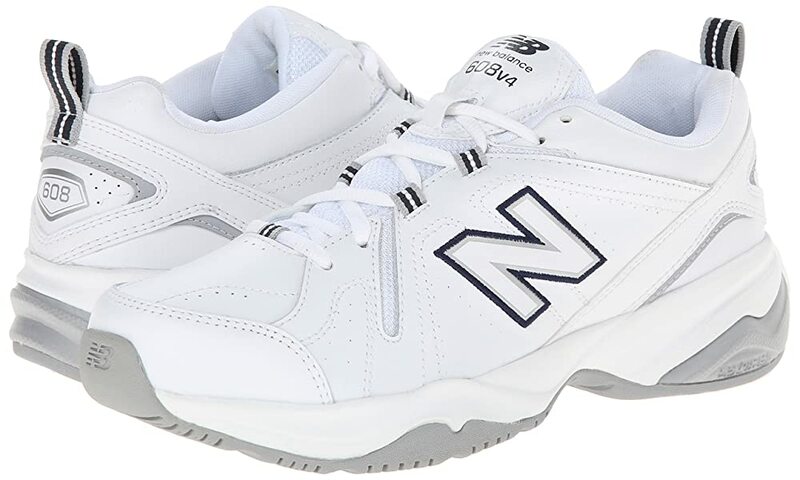 This pair of trainers from New Balance has three main features namely premium stability, luxurious cushioning and durable upper. According to the manufacturers, the dual density post and t-beam support gives midfoot stability to the shoes. On the other hand, customers should expect luxurious cushioning because New Balance used a combination of REVite, ABZORB and N2 foams on this shoe. Lastly, the upper of the shoe is made from quality mesh. Upon first glance, these trainers look like the typical running shoes from New Balance. But these shoes truly deliver. We love the cushioning system. It is durable and comfortable. Furthermore, the tongue of the shoe stayed put and was never a hindrance during running sessions. It helped reduce the soreness of our ankles and knees. However, the material of the inner section near the heel rubbed against the skin. It was quite itchy. But overall, it is a great pair of trainers. The New Balance Men’s 126ov6 is available in Grey/Yellow and Blue/Dark Grey. 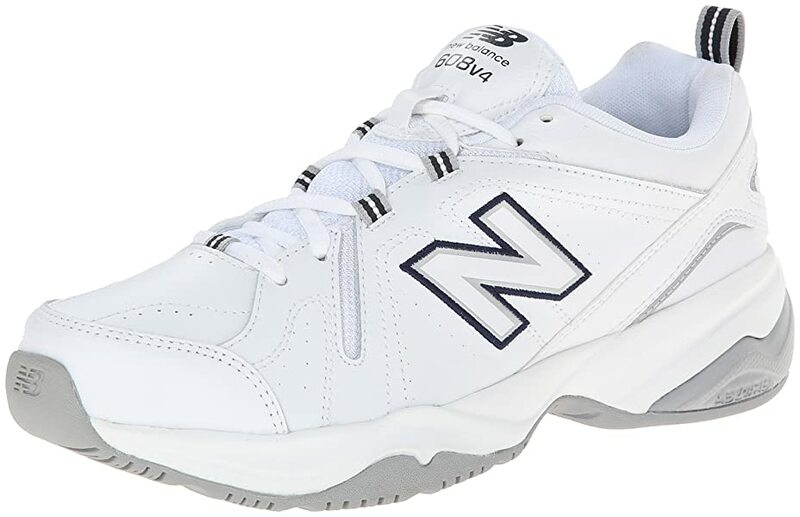 We give the New Balance Men’s 126ov6 a nine (9) out of ten (10). This trainers come in great colors. It gives premium stability, luxurious cushioning and durable upper. The tongue stayed in place the whole time. The inner section near the heel area rubbed against the skin. It is quite heavy – five (5) pounds shipping weight. First released November 2009, Mizuno Wave Inspire 13 started making waves just a few weeks after its initial release. A lot of runners have had raving reviews about this product so we were excited to try it on. These trainers were designed for running on pavement. It has excellent stability and arch support. It weighs around 312 grams for men. We actually think that it is the lightest stability shoes we’ve tried on. The upper is made from engineered, molded urethane and synthetic leather. The midsole is made from molded foam. The heel area is made from hard carbon rubber while the forefoot area is made from blown rubber. However, we had certain issues regarding the fit in the toe box. We also do not dig the design that much. But nonetheless, these trainers are very reliable. The Mizuno Wave Inspire 13 is deserving of an eight (8) out of ten (10). It is perfect for running on pavement. It is very durable. It also provides excellent stability and arch support. It is also very light. We think it is the lightest stability shoes we’ve tested. We’ve seen better designs from Mizuno. There were certain issues regarding the fit in the toe box. Cross trainers are designed to provide stability and support for the ankle, knees, legs and hips during strenuous activities. Cross trainers are perfect for those with flat feet. This type of shoes is designed to absorb shock and minimize pressure on the feet. Cross trainers are often also very durable. It has to have sufficient midsole support. Because of the lack of an arch, midsole support is very important to those who have flat feet. This will keep them stable during strenuous activities. Stability will reduce the possibility of injuries to the ankles, knees and back. To know if there is enough support for the midsole, check if the midsole will raise the natural arch upward. Look for shoes with enough cushioning. As repeatedly mentioned throughout the article, flat footedness may cause pain and discomfort. It is therefore essential to have enough cushioning to absorb shock. It is also not a bad idea to purchase a pair of trainers which has memory foam. It must also have good traction. Features like herringbone structure will improve traction in shoes. Rubber is the best material to create traction. They must also be lightweight and breathable. Look for shoes that have the fly wire technology. This technology makes the shoes lightweight. The upper of the trainers should also be made from breathable mesh to improve ventilation and air circulation. It is important to note though that mesh is not waterproof. Therefore shoes made from mesh are not waterproof. Look for something comfortable and durable. These two traits are pretty much a standard in looking for items. Aside from the aforementioned, also take into consideration the size, price and design of the shoes. In this list, the two winners are: (1) New Balance Women’s Training Shoes and (2) Nike’s Metcon 2. The New Balance Women’s Training Shoes combines comfort and style in one. It is made from quality synthetic and fabric materials. It has memory foam and internal shank and shock-absorbing technology. These features ease the pain felt by those suffering from flat foot. 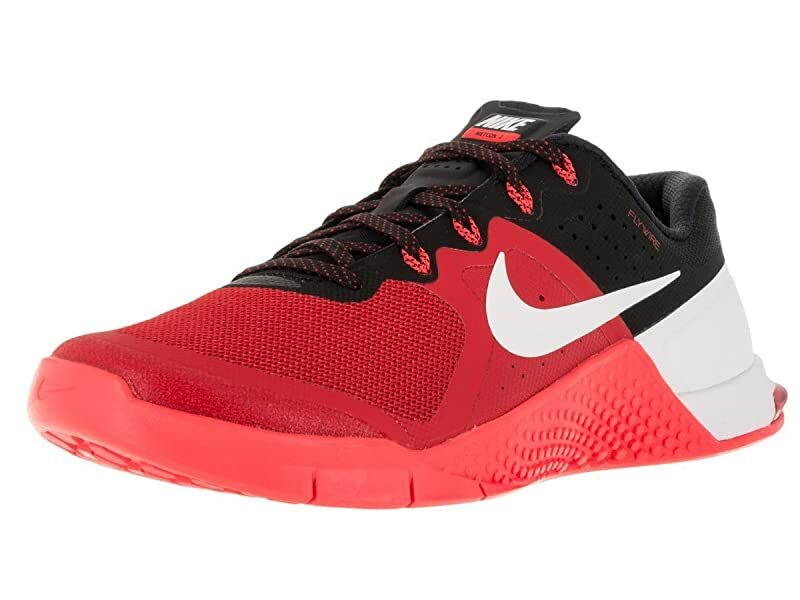 For the men division, Nike’s Metcon 2 led the list of best cross trainers for flat foot. The fly wire technology, stiff and wide heel and wide toe box is one of the many reasons why this pair of shoes would greatly help those who have flat foot. It provides comfort and stability without comprising style.